Hello to all my lovely readers! I'm finally back with a tutorial for you. 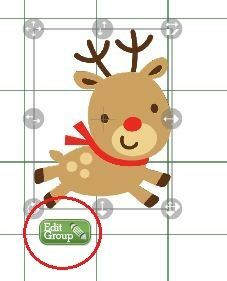 I have been so totally slack the last couple of months and have neglected this blog (and my Cricut Lovers Guide to Design Studio blog) for too long! You may have seen that there are now single images available to purchase for use in CCR. There's lots to choose from. Some of them however, have been layered ready for printing and cutting as one image on the Imagine. 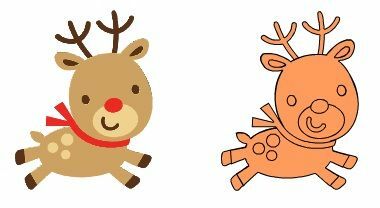 So far you'll find Imagine ready images from Cindy Loo, Create A Critter and the mascots from Team Spirit. There's lots of other single images available on CCR now, but most of them haven't had the layering done to automatically print and cut on the Imagine. Select the image from the library and either single click to add it to the mat, or drag it from the keypad to your mat. The first picture below is what the image will look like if the Imagine is selected as the Default Machine in the Machine & Mat menu. 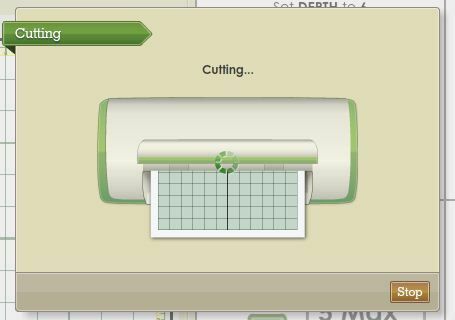 The second picture is how the image will look if any other Cricut is selected as the default machine. 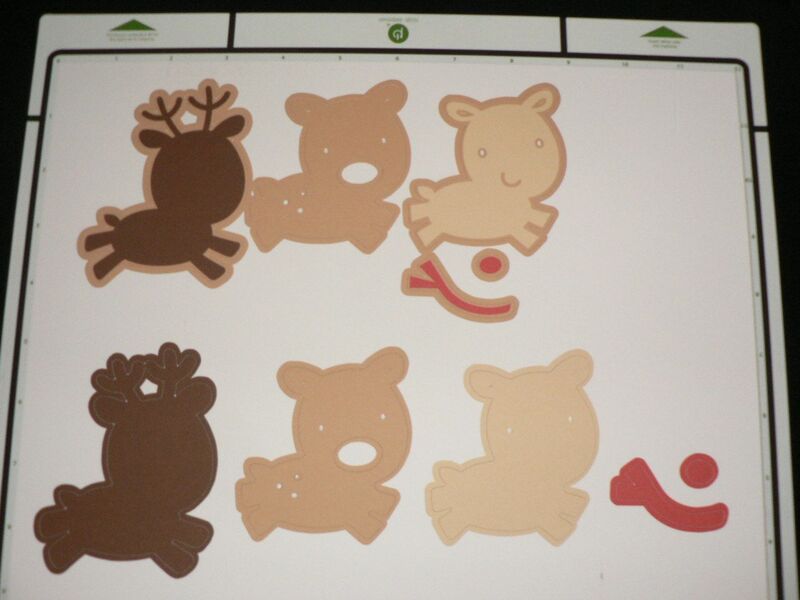 The images are now ready for you to send to your Imagine to be printed and cut as individual objects. Be aware that each of the layers will have a light brown border around them as in the top row of images in the picture below. When you cut them out they will look like the bottom row of images in the picture above. Notice that the mouth and some of the other feature lines didn't print. 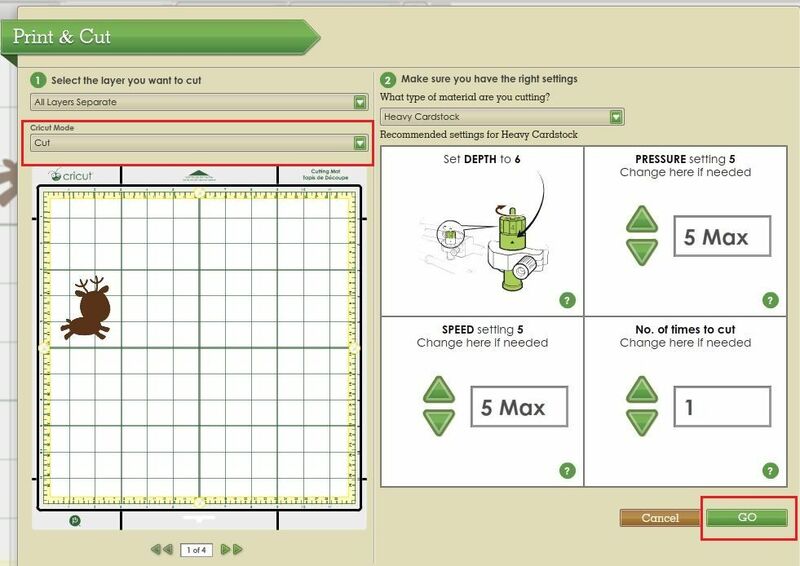 Something to keep in mind.... For a good result, make sure you calibration is spot on!! But "hang on" you say... "I don't have an Imagine!!!" The good news is once you've separated and ungrouped these images you can cut them on all the other Cricuts with just a few more steps. 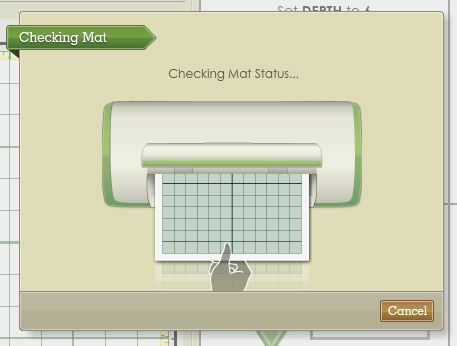 If you're using just one CCR mat move your images around so that you can easily load your cutting mat with each of the different colour cardstock. 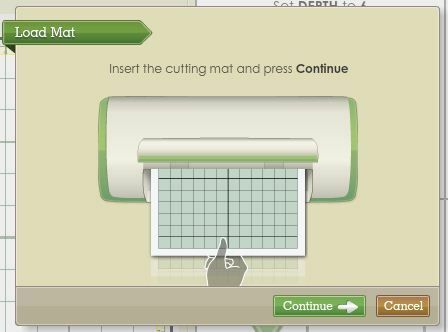 If you want to cut multiples of each layer you might want to create multiple mats at this stage and cut and paste each layer to its own mat. 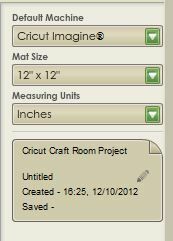 Then you can use the Autofill option to fill your mat or Image Quantity option to set how many of each shape you want. In the picture below you can see that I have used multiple mats as each layer is a different preview colour. I've tested this on my E2 and my Personal... and it works!!! Hi narelle, thanks for the tut. Got plenty off time on my hands this year so intend learning to use my imagine properly using the words of wisdom from a master!!!! ( that s you ). Happy 2013 to you and yours and all who read your blog. Sue. Hi Narelle, thank you for sharing all of your great tips! What build of the CCR do you use? My Imagine wasn't cutting properly and I reverted back to an old build (132?) so it would work. Has PC finally gotten some of the bugs out and the newest build works? Thanks! Hi Liz. I use Build 179. It pretty much fixed the cutting problem with the Imagine. It's still finicky on occasion, but then again, the old version was too. I love and use both of your blogs. I don't use CDS much anymore but still use it and so do other people. I still refer people to your blog when they need help. Maybe you could join the blogs and have a section where you put your CDS info in. You could put a note there including the date you last updated the info, etc. Or you could simply put a link to your old blog. I LOVE your font and cart lists. I appreciate all of the hard work you put into both blogs. Thank you so much. Do what you need to do. Time is precious. In fact I've already started work on the new blog. I just bought a layered image and have been through your tutorial, thanks. However when I seperate my image the layers stay on the same layer , unlike your ones. Do I have to do this manualy. I have an expression. Mine are on the same layer. They look like they're on different layers because I've got the Imagine selected so the different parts of the image are coloured differently. If I were to change to the Expression they would all show as one colour. If you want the different layers to be on their own layer, then yes, you would need to cut and paste them manually. I know this is an old post, but I need to see if you can answer a question for me about layering. I bought/downloaded a single image for my cricut mini. I'm doing 2 different size owls and it has 4 layers. Well I first worked on the small owl. So what I did was put it on my mat, clicked on edit group, separated them, and deleted the layers I didnt need and kept the one I did and exited. My goal was to print 5 on one sheet, since each layer was going to be a different color. So that worked, and I did the same for the rest. So I decided to take a break, when I came back to do the bigger owls, its not working anymore. It only prints the last layer even if that layer is deleted and what shows up on the mat is the one I want, but when I go to cut, it cuts the last layer! I'm so stumped because it worked fine before and now i dont know what's going! Help! Please??? Its driving me crazy on why its not working. I cannot thank you enough for this tutorial!!! My good friend is having her baby this June and her shower is in three weeks... We chose a digital image and could not get it printed for three weeks!!! I was getting desperate and thought I may have to cut the Owls by hand... Turned to google and found your blog! You have no idea how great fun and thankful I for you!!!!!!!! I got it done and she is so happy! Again, I thank you! Look forward to reading more of your blog!